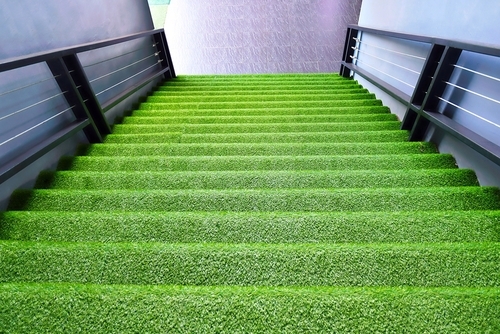 JibberJabberUK: How Green is Artificial Grass? How Green is Artificial Grass? Lots of us have lawns, but if we actually thought about it, do we really want and/or need them? Are they really as green and eco-friendly as the alternative? Crafted and created versions of the popular Poaceae plant are becoming more and more popular for a variety of practical reasons. Everything from keeping homes in the garden of England less muddy, to making sure lawns in the peak district are green even in the depths of winter. But is this really an environmentally sustainable option? Or is it that our grasses are in fact the true anti-Green culprits, and we’ve been mistakenly watering them all this time due to cultural expectations and status quo bias. So whether you might be considering fake lawns in Fife, or artificial grass in Kent, here are some things to consider from an environmental perspective. Carbon sink – Being a healthy green plant, natural grass uses the magic of chlorophyll and photosynthesis to take carbon out the air, replacing it with delicious, life giving oxygen. While no one would seriously suggest Poaceae is the most efficient carbon capture plant, it's certainly far more efficient than any form of plastic. Soil Support – By sucking up the nutrients and spreading its roots into the earth, natural grass supports the natural turnover, growth, and ultimately sustainability of topsoil. A vital resource we will need for generations to come. Compostable by-products – Although cutting the lawn might be time consuming, the blades of grass that get bagged up are biodegradable, and can be dumped into a compost heap to further enhance the cycling of nutrients back into the earth from whence they came. Water consumption – Much as we complain about it in this country, the truth is there isn't as much rain in the UK as we think there is. For lots of people the only way to really keep the lawn as green as we might like it is to pump gallons upon gallons down our hosepipes and out our sprinklers. A lot of resources to something that just looks nice, and has a marginal carbon sink capacity. Artificial mono-culture – Most forms of turf-grass we find in this country's gardens are not there naturally, but are deliberately planted that way. This creates a kind of biological wasteland where a single species holds sway. This phenomenon does not occur in nature at all, and because we do this with natural grass it lessens all the other benefits you might get. Grasslands with many different plants are far better carbon sinks, and they provide much better soil care benefits. Toxic maintenance – Because grasses that we find in our lawns are often not native plans, and because we want them looking a certain way all the time, they take a lot of maintenance. From regular mowing and cutting to miracle grow fertiliser, pesticides, and many other products besides, we often leave our lawns coated in a variety of artificial chemicals. By themselves, if they stay there, this wouldn't be a problem, but when the rain comes down the natural runoff can spread into surrounding top-soil, as well as the wider water cycle, and other animals and insects. This isn't even getting into the carbon footprint involved in the shipping of all these products, or the power/petrol required to run a lawn mower. Rainwater capture – Because artificial grass needs no rainwater to grow, most companies that install them build in a drainage mechanism, since no one wants surface spray when their children play football in the back garden. This water can be collected and used in a variety of eco friendly ways to look after other plants. Green maintenance – Looking after artificial grass requires no pesticides, no fertiliser, no extra water, and no hefty and complex machinery. This means artificial grass has no toxic run off, and arguably a far smaller carbon footprint than the care of its biological counterpart. Pests exiled – The nature of regular grasses can make it an ideal breading ground for a wide variety of pests, and because it’s a monoculture the populations of said pests can grow far beyond what wild nature would normally tolerate. With an artificial lawn, there is nowhere for these creatures to call home, which keeps surrounding ecosystems free from their disruptive influence. Mostly non-recyclable – Artificial grasses might be greener in terms of its carbon footprint of care, but the substance itself is still largely (although not exclusively) constructed from the kinds of fibres that cannot be recycled. Popular substances include nylon and polypropylene, both of which will neither bio-degrade, nor are they simple to recycle. However artificial grasses do have an exceptionally long life cycle, reaching twenty years at the outside, and some far longer than that. Manufacture and movement – Nylon, polypropylene, and the various other artificial chemicals involved in manufacturing artificial grass do have non-negligible carbon footprints. Also, while natural grasses do have a substantial footprint in the form of the moving of the materials of their maintenance, artificial grasses also has a significant, albeit smaller, footprint in the form of its shipping. Topsoil troubles – In some circumstances, artificial grasses don't just fail to provide the benefits of top-soil cycling that grasses offer. To install artificial grasses it can sometimes involve compacting and levelling the top soil, which can seriously damage the life cycles of the microbes, insects, and other invertebrates. Artificial grasses have a host of practical advantage. They avoid muddy boots, they don't need much maintenance, and they are tough enough to deal with the most tenacious and brutal of pets. But there are also a host of environmental issues, many of those positive. 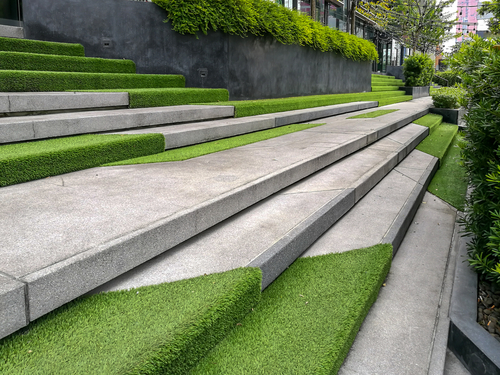 When thinking about artificial grass, we have to wonder just how much of any instant scepticism we might have is just status-quo bias and social pressure. Maybe, when all things are balanced, a change could be a useful, and more importantly, environmentally friendly option. Finance Fridays – Is Cash Dead? Finance Fridays – Are ISAs still worth it?